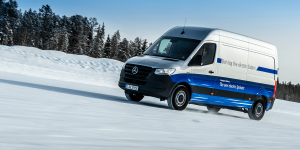 Daimler’s first EQC and electric S-class delayed? 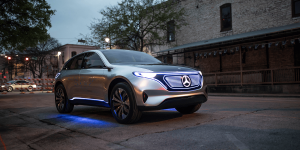 It looks like Daimler might be coming ever later to the electric game as German Handelsblatt cites sources saying the first electric car, the EQC might be delayed with the same being alleged for the electric S-class. 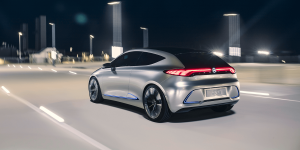 Daimler is planning to use the Smart factory in the French Hambach near the German border to construct a Mercedes compact model of the EQ brand, planning an investment of around 500 million euro. Asked about the current challenges for the uptake of electric buses, Wang Chuanfu, President and Chairman of BYD, mentions first of all battery capacity. Apart from that, the barriers would not be as high as one might think, he adds. Daimler chief Dieter Zetsche has a clear idea of why Tesla succeeds with its strategy while his company had to deal with setbacks when it comes to electrification. 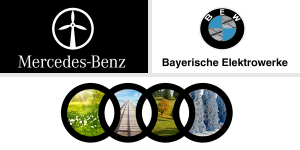 However, with the upcoming EV line-up, Zetsche is sure to make Daimler as attractive to EV buyers as Tesla. Daimler CEO Dieter Zetsche refers to the “golf cart” image he believes had been attached to electric vehicles for years. In an interview on the sidelines of SXSW 2017, he thanked Tesla for having paved the way. According to Thomas Brachmann, chief project engineer-R&D Europe for Honda, the company may use its fuel cell technology for the new Civic soon. Dieter Zetsche, Kathy Beslic, Lutz Stiegler. Daimler CEO Dieter Zetsche with his prediction of price parity between gas guzzlers and electric vehicles. Not so outrageous after all. Says Kathy Beslic, marketing manager for the Chevrolet Bolt, who otherwise refused to comment on Tesla’s Model 3. So far, the Bolt EV is available in California and Oregon. Lutz Stiegler, Volvo’s director of powertrain engineering, exhibits willingness to follow consumers’ wishes for electrification no matter the segment. Volvo does rule out diesel-electric hybrids though. Dieter Zetsche, Barack Obama, Stefan Bratzel. Daimler CEO Dieter Zetsche is not putting a lot of faith in fuel technology. The carmaker is still planning to “launch a four-digit number of fuel-cell vehicles” next year, but not everyone can buy them. But Zetsche also admits, that all could change in ten years. Outgoing U.S. President Barack Obama wrote in the journal Science that clean energy technology will continue under President Trump – whether he wants to or not. The reason is that people living in the U.S. have begun integrating the change in i.e. mobility into their own lives. Stefan Bratzel of the Center of Automotive Management (CAM) says that if Tesla does not manage to be profitable, it could be taken over by a company that is currently still playing catch-up. 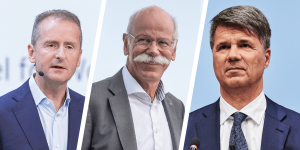 Dieter Zetsche, Trevor Milton, Jens Marquardt. For Daimler CEO Dieter Zetsche, the time to launch an EV has to be picked as carefully as the time to arrive at a party. He says that launching the Generation EQ concept at the end of the decade is the right time to so. Trevor Milton, CEO of Nikola Motors, seems to be ready to take Elon Musk head on – at least in terms of communication. The company just revealed its hydrogen-electric truck, said to launch in 2020. 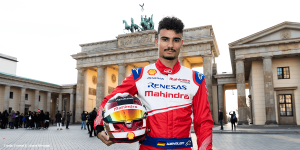 BMW motorsport director Jens Marquardt doesn’t believe that the Formula E needs to go any faster, but should focus on fan interaction and virtual racing. He even believes that one day, fans could virtually race against the teams actually on the track. Dieter Zetsche, Jochem Heinzmann, Kiyoshi Fujiwara. Just forbidding petrol and diesel cars is not the way to push electric mobility, Daimler CEO Dieter Zetsche says. He wants to conquer the buyers’ hearts with his products to ensure long-term success. Volkswagen’s China chief Jochem Heinzmann says the company wants to sell as many as 400,000 “new energy vehicles” in China by the end of the decade and even 1.5m by 2025. He is now hoping the Chinese government will approve the manufacture’s third joint venture there that would focus on battery-electric cars only. Mazda’s head of research and development Kiyoshi Fujiwara announced a prospective electric vehilces for 2019 at the LA Motor Show. The car could then also be offered with a rotary engine as range extender. Dieter Zetsche, Mary Nichols, Takahiko Ijichi. Daimler CEO Dieter Zetsche tells the German Green Party that he, too, wants emission-free mobility. The party passed a resolution over the weekend, calling for and ICE ban from 2030 in Germany. Following the election of a U.S. President most likely to sweep climate change under the rug, Chairman of the California Air Resources Board (CARB) Mary Nichols tweeted that the western state will continue its efforts to promote EVs and implement zero-emission mandates. Toyota CFO Takahiko Ijichi explains that while the carmaker is looking to have EVs in its line-up to be more flexible when it comes to introducing a vehicle to a market depending on their infrastructure and policy, fuel cell technology remains their main cause. Dieter Zetsche, BMI Research, Ferdinand Dudenhöffer. Daimler CEO Dieter Zetsche on batteries for electric vehicles. He expects 100 euros per kWh by 2025 as costs for “electric controls, electric motors and all of the other parts” will decrease as well. Zero Emission Vehicle Credits are a mayor part of Tesla`s income, BMI Research says, but fears that these may be removed during the looming Trump administration. Ferdinand Dudenhöffer, Germany’s answer to Bob Lutz, believes the buyers incentive is not enough and misguided. His continuous concern is range-angst. Dieter Zetsche, Henrik Fisker, Johan van Zyl. Daimler CEO Dieter Zetsche is most satisfied with his firm’s progress and considers electrification the next segment to take a lead in, or where to go head to head with Tesla. It is EV premium he is talking, naturally. Says Toyota’s European President & CEO Johan van Zyl. He also mused on the electrification of the compact Aygo that Toyota produces together with PSA as EVs could definitely play a part in the urban sharing economy. Dieter Zetsche, Guillaume Berthier, BNEF. Renault chief marketer Guillaume Berthier believes that China will be the next big market for electric mobility. In Europe, he says the “turning point for mass adoption” is already within reach. 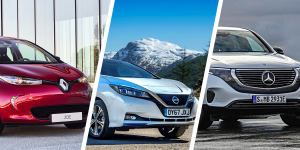 A new report by McKinsey & Co and Bloomberg New Energy Finance (BNEF) says that with battery prices dropping, electric mobility could dominate the roads of wealthy cities by 2030. Oliver Blume, Dieter Zetsche, Carlos Ghosn. Porsche CEO Oliver Blume comments on the planned 800 Volt fast-charging system that Porsche is developing for the VW Group. Plans are apparently getting more concrete and will even give its biggest competitor a place to plug in. Daimler CEO Dieter Zetsche says the company will not only catch up to, but overtake Tesla as leader of the electric mobility market in less than a decade. The EQ brand introduced in Paris is to lead the way. Renault-Nissan CEO Carlos Ghosn wants to develop inexpensive EVs in India to sell in China. The Alliance worries about losing its place there to local players, who offer electric mobility for less. Mary Barra, Dieter Zetsche, Nissan. General Motors CEO Mary Barra explains the company’s move to invest in Lyft and Cruise Automation as a long-term way to profit from new technologies. Daimler Chief Executive Dieter Zetsche explains the company’s newest plans regarding their accelerated development of premium electric cars. Though Zetsche would not reveal details, the company may be taking aim at rivals Tesla and Audi. A statement from Nissan indicates that Japan’s charging infrastructure has reached a level where EV drivers don’t have trouble finding a plug. 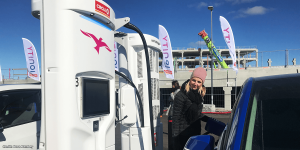 Some 6,200 chargers are said to be available at some 7,000 locations nationwide, including 60% of the world’s quick chargers. Dieter Zetsche (Daimler), Stella Li (BYD). Dieter Zetsche, Daimler’s Chairman of the Board of Management, sees Tesla’s presence and competition as a welcome challenge, Zetsche admits that the American competitor offers what other manufacturers do not. Stella Li, senior vice president at BYD, draws a clear line between the Chinese manufacturer and Tesla. BYD builds electric buses, cars and batteries and is looking to establish itself as a reliable brand name long-term. Li adds that BYD plans to up production capacity at its U.S. plant from 300 to 1,000 electric buses per year. According to Daimler CEO Dieter Zetsche, batteries are key to the future of electric cars. 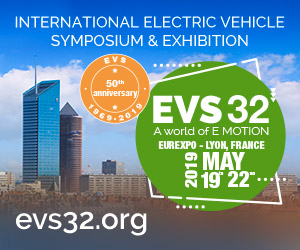 Once EVs can go around 310 miles on one charge, they become competitive. Though Zetsche say, there is no “magic number” to trigger EV uptake. Dieter Zetsche, Jason Wheeler, Green Budget Europe. 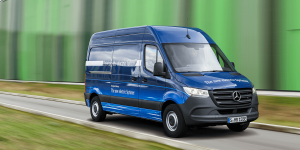 Even Daimler CEO Dieter Zetsche believes that, considering progress made in recent years, electric drivetrains will catch on. However, if Germany continues on the same path as before, its goal of one million EVs on the road by 2020 seems unattainable. Tesla CFO Jason Wheeler explains that the EV maker plans to cut capital expenditures this year to obtain net cash flow positive, as Tesla also expects a year-on-year growth in vehicle deliveries of up to 78 percent. This sentence comes from a press release from Green Budget Europe (GBE), as members of the European Parliament were presented with a report showing that diesel cars are worse for the environment than petrol-powered vehicles. British Cabinet Office minister Oliver Letwin whips up parliament to get behind the electric car revolution. He refers to inductive charging while driving, having to admit, however, that at this point, it is a technological rather than infrastructural reality. Daimler CEO Dieter Zetsche explains that he expects slower growth in 2016 due to investments made. But maybe value can be measured not only in money alone? Tesla shares definitely speak of another reality than profit. Daimler CEO Dieter Zetsche visited Apple and Google in Silicon Valley, commenting on their and Daimler’s development of autonomous driving technology. Chevrolet Bolt EV chief engineer Josh Tavel says the Bolt already tackles issues that had previously prevented EV uptake. Plus, it is simply fun to drive. Daimler CEO Dieter Zetsche comments on the, in his opinion, meagre margins from selling electric cars as their production is still too costly. Renault’s technical programme manager Vincent Gaillardot says that team e-dams will compete with one single motor set-up in the upcoming Formula E season. Previous rumours presumed the use of a dual-motor. Daimler CEO Dieter Zetsche says he is not opposed to cooperating with the two technology giants, as self-driving and connected cars take centre stage. However, he stressed that Daimler refuses to become just a supplier. Daimler CEO Dieter Zetsche does not see Tesla as a serious competitor. Audi and its planned Q6 electric car might be another matter. But the CEO did not confirm any plans to go head to head (yet). General Motors CEO Mary Barra sent out a similar message to Tesla, as she once more praises the upcoming Bolt as an EV accessible to mass market. Johan de Nysschen, Dieter Zetsche. Cadillac CEO Johan de Nysschen confirmed that more PHEV variants of its models will follow the unveiling of the CT6 last week. He though also said that there will most likely not be a new version of the Cadillac ELR. Daimler CEO Dieter Zetsche says that if Mercedes-Benz builds a “fighter”, it will be directed at established competitors, not at Tesla. Joachim Fetzer, Ulrich Hackenberg, Dieter Zetsche. Joachim Fetzer, head of electric mobility at Bosch, is certain that a decision about battery cell production in Europe will not be made until 2018. He also believes that Tesla will be able to reduce battery costs to 100 euros/kWh (109 dollars/kWh). 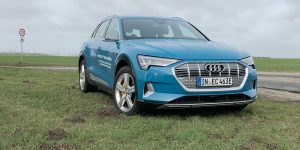 Audi’s head of engineering Dr. Ulrich Hackenberg confirms that Audi will take on the Tesla Model X with a large, all-electric SUV with a range of more than 300 miles. Daimler CEO Dieter Zetsche hinted at the Geneva Motor Show that Mercedes may be working on an electric limousine. He also said that the reason EVs have not been successful (yet), is because they tend to be in cheaper segments. Daimler CEO Dieter Zetsche cannot understand why Apple wants to build an electric car. Nor does he believe that it could have any impact on the industry. Funny, since Nokia argued in a similar way before Apple got into the mobile phone business. Kia Motors Australia CEO Damien Meredith says that it is difficult to decide whether the company should introduce a hybrid to the Australian market, a technology he sees as a stepping stone. Barack Obama, Chetan Maini, Dieter Zetsche. U.S. president Barack Obama is warning his fellow Americans to get overly excited about the currently low oil prices. He recommends to buy smaller, fuel-efficient vehicles. Chetan Maini, CEO of Mahindra Reva, believes that electric cars could solve many of India’s transport problems. However, potential customers perceive EVs to be too expensive while infrastructure and comprehensive policies remain scarce. Daimler CEO Dieter Zetsche quietens speculations that the relationship with Tesla has gained a competitive edge. Zetsche continued by emphasising the “good relationship” with Tesla, which is supplying the entire drivetrain system for the B-class ED.